Many are familiar with the impact that the Sears, Roebuck & Company has had on American consumerism through it catalogs and department stores since its beginning in 1886. In the early 1900’s the Sears catalog – often referred to as “the Consumers’ Bible” played an especially important role in the rural farm family – from providing products to purchase, to entertainment for children to look through again and again, to serving as the household toilet paper. 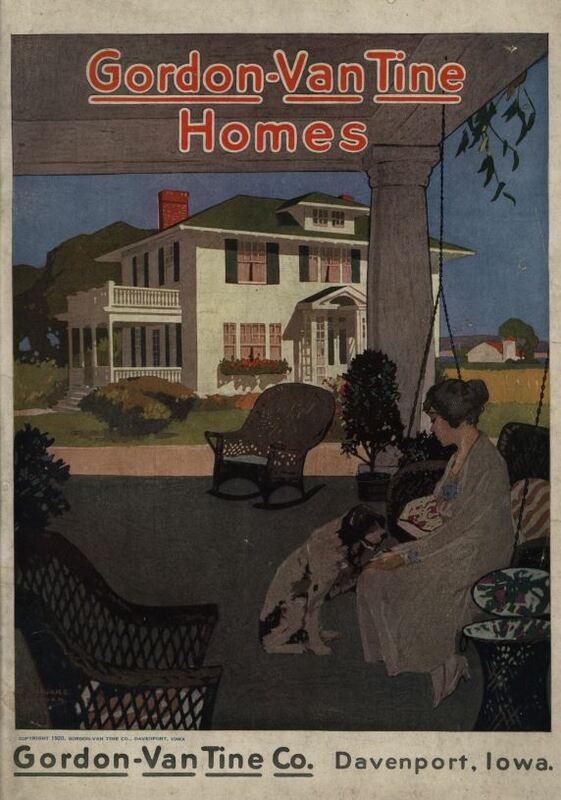 1908 began a new chapter in the catalog business with their offering of kit houses (commonly known as “mail-order homes”). These kit homes were permanent houses, with thousands of choices in plans and materials. Over 100,000 kit homes were built in the United States between 1908 and 1940. Based out of Chicago, Sears Modern Homes from Sears, Roebuck and Company is probably the most recognized name in this industry. However, a lesser-known brand was based right here in Iowa, in Davenport. The Gordon-Van Tine Company traces its roots back to 1866 when U.N. Roberts established a sawmill in Davenport, a growing community that was ideally located at the intersection of the Mississippi River and the Rock Island Railroad. 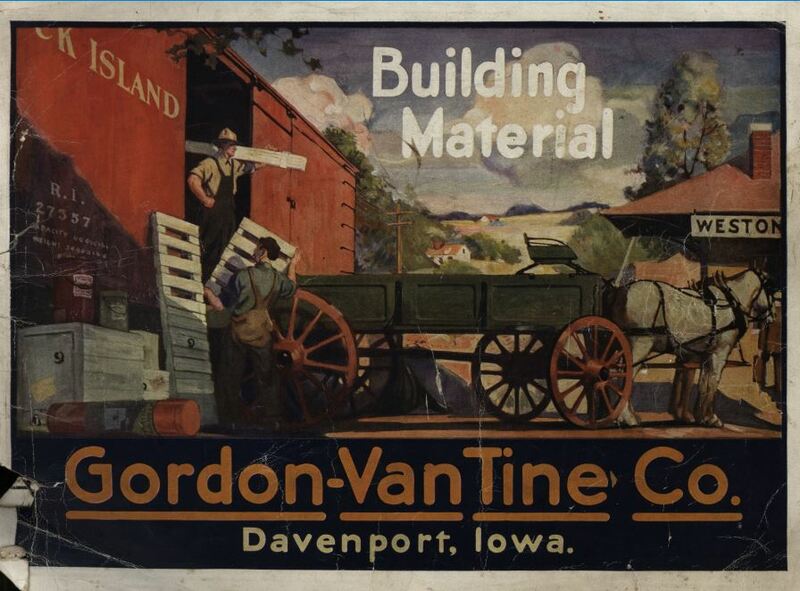 Gordon-Van Tine entered the mail order business by first supplying materials for Sears, Roebuck and Company in 1907. When this relationship ended in 1912 the company immediately began offering its own plan book filled with dozens of options for potential homebuyers. This catalog offered plans, specifications and bill of materials. As this form of home building took off, other companies, such as Aladdin Homes of Bay City, Michigan began offering pre-cut materials for their designs. This decreased the amount of time to construct the homes, as well as reduced the need for skilled labor. In 1916, Gordon-Van Tine introduced its first line of ready-cut homes. Lumber was pre-cut to the proper length and labeled – ready to nail for easy assembly. Everything needed to construct a home was included, including electrical and plumbing needs for an additional cost. 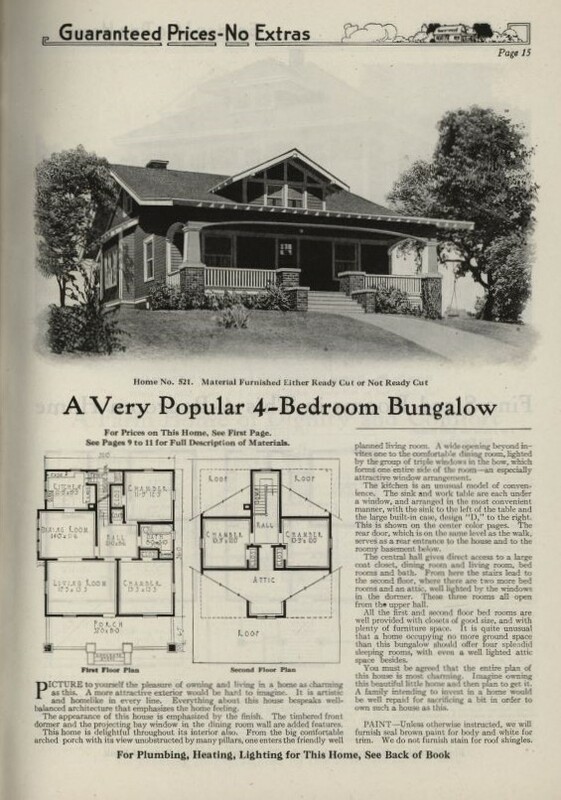 Plan books offered popular styles of the time – Arts and Crafts, Prairie, Bungalows and Foursquares were fashionable options in addition to the Victorian designs that had been popular during the previous decades. While materials such as lumber and hardware were standardized, plans were flexible. Customers were encouraged to customize floor plans. Hundreds of options were available to make each home unique including porches, built-in cabinets, trellises and cladding materials to name a few. As a result, tens of thousands of kit homes were sold across the country – from rural areas to urban ones. 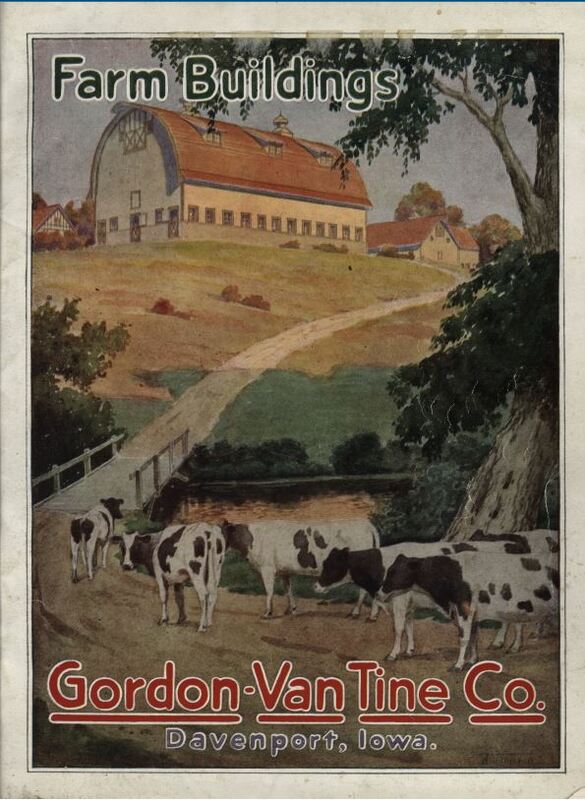 In the 1920’s Gordon-Van Tine additionally offered a catalog dedicated solely to farm buildings – from 30 square feet hog houses to barns over 5,800 square feet. Over 600 sizes and designs of barns were available. Farmers could design their own barns and submit their plans, or for a refundable fee of $5 the company’s “barn experts” would design one for them with information provided by the buyer. Many websites have digitized dozens of plan books from numerous companies. Flipping through the pages one can assuredly see the influence these homes have had on our domestic landscape even to this day, decades later. The designs reflected in these books capture the vibrant American spirit of the first half of the twentieth century. Michelle Sacco, AIA, is an architect at RDG Planning & Design where she specializes in rehabilitating historic properties in the Restoration Focus Market. She also serves as the Past Chair of the Iowa Architectural Foundation and as a Chair of the Architecture in Schools Subcommittee.